When we first moved to this house nine years ago, I gave my daughter the smallest bedroom because it has a private attached bathroom. She’s a girl. We need our privacy. But a couple of years ago, she moved into the biggest bedroom so she could have more room to play. The bathroom attached to that room is a “Jack and Jill” bathroom shared with her brother. Now that she’s a “tween” it has come to her attention that sharing a bathroom with a boy is gross. (Yes it is, dear, welcome to the world.) So she moved back. She picked the color purple. 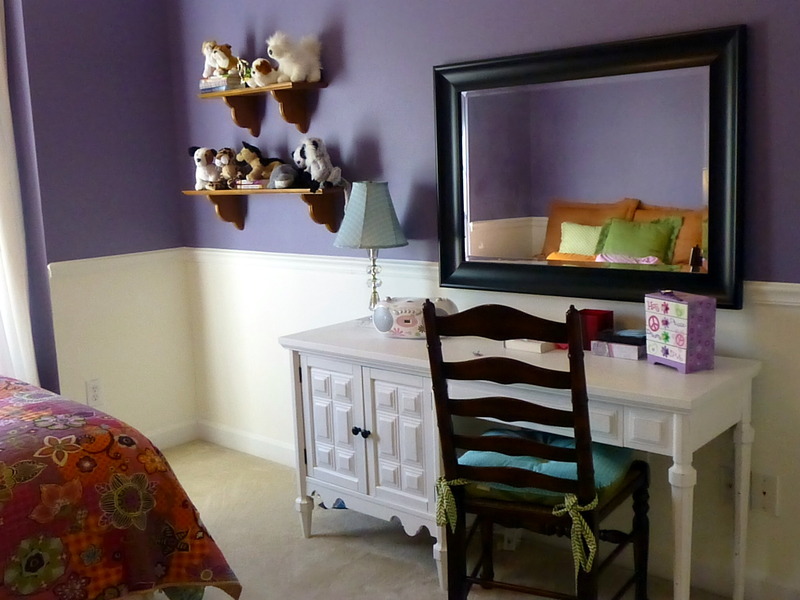 This room has a chair rail, so that gave me the opportunity to NOT paint the WHOLE room purple. We chose a creamy white for the bottom half. I have to say the purple scared me a bit, but now that it’s finished, I love it. This room was my “sewing/craft room after my daughter left for the bigger room. I did a wall paper scrap collage on one wall. I liked it at the time, but after she moved back, it had to go! Wall paper down! Even if you prep your wall, wall paper is never a joy to remove. Looks better already! Isn’t it a happy purple? 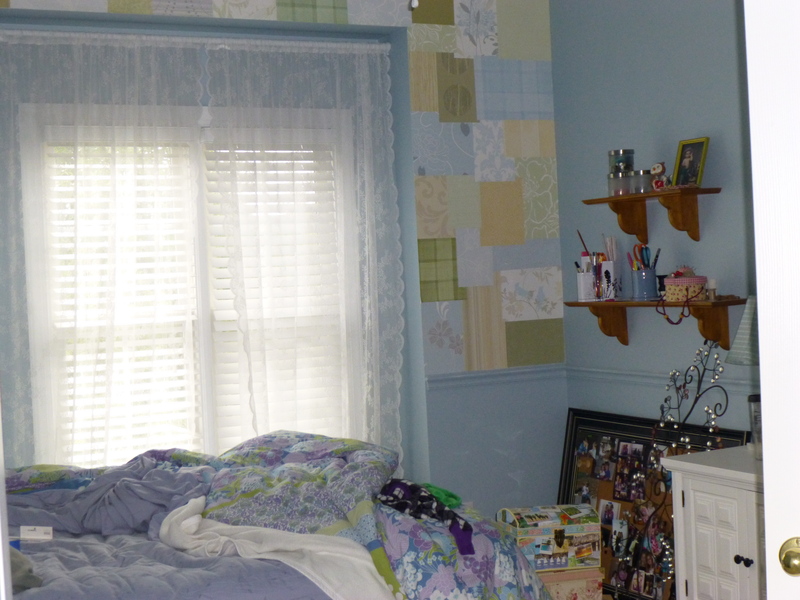 The room looks more like a “tween” girls room now. 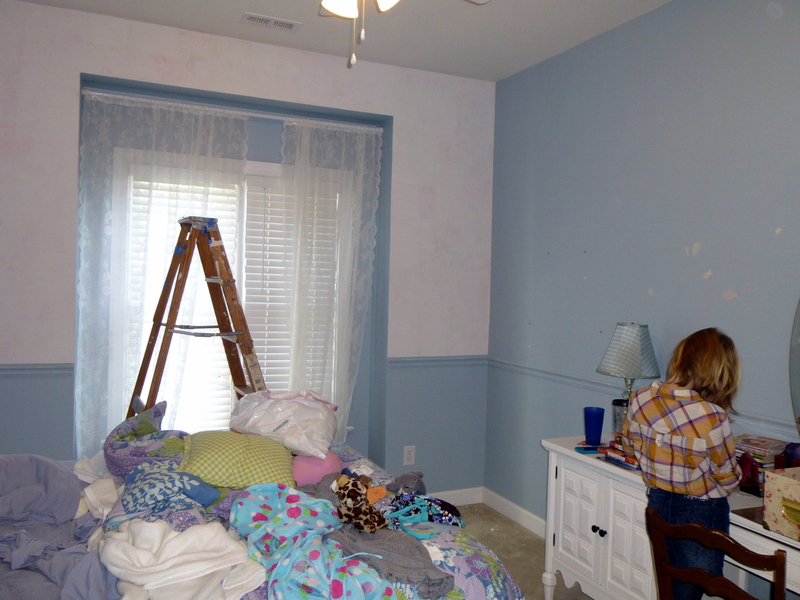 And just a note of proudness… my daughter spackled all the holes in the room herself before I painted. She did an excellent job! Perfect the first time. My heart is full of pride! 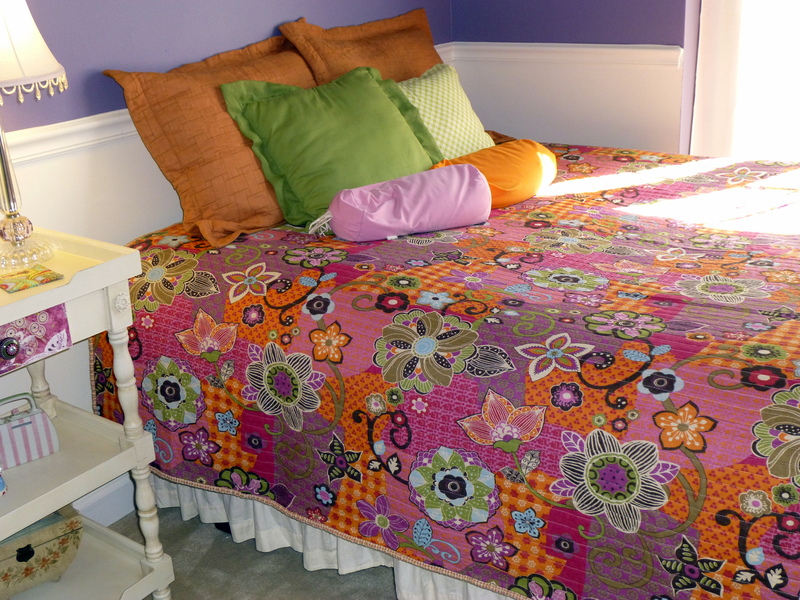 The only thing I purchased besides paint for this room redo is the comforter. I couldn’t resist the cheeriness and grooviness of it! 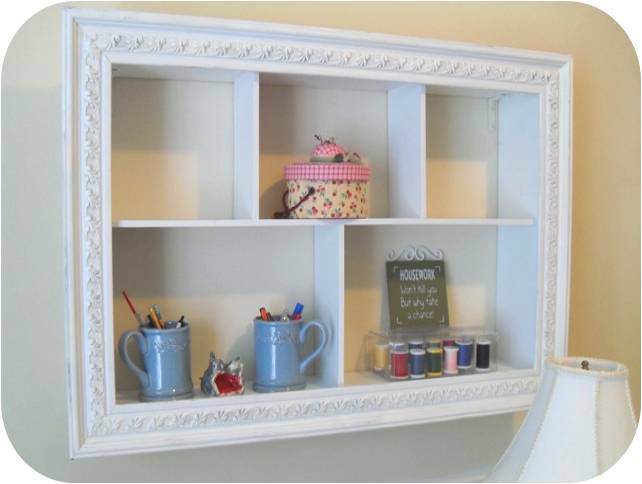 This desk is a Habitat Restore makeover. I picked it up awhile ago for 30.00. The chair is also from Habitat. Nothing was done to it besides a little glue on the legs and a new cushion. Posted in DIY (you can do it! 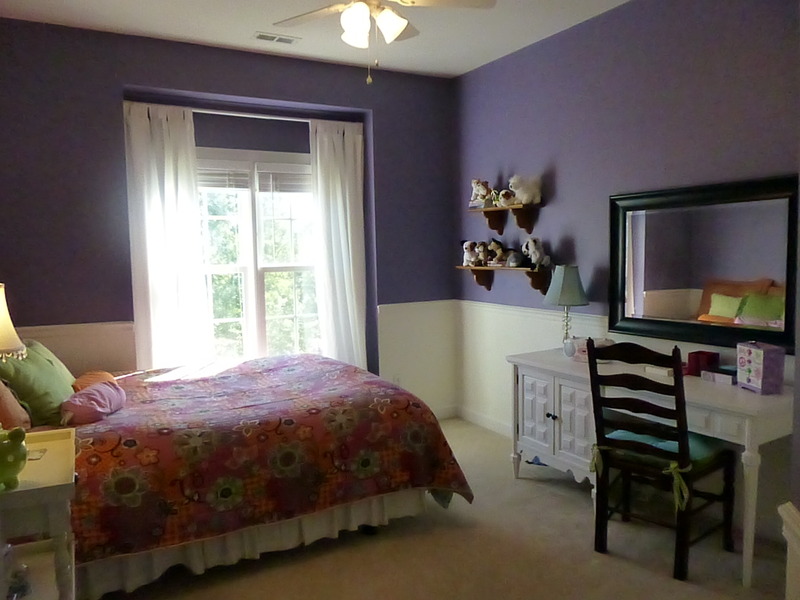 ), DIY Decor and tagged bedroom makeover, DIY, DIY blog, do-ti-yourself, girls bedroom, Home, home decor, home decorating, Home Improvement, Jack and Jill bathroom, paint, painting, purple, room makeove, tween. Bookmark the permalink. 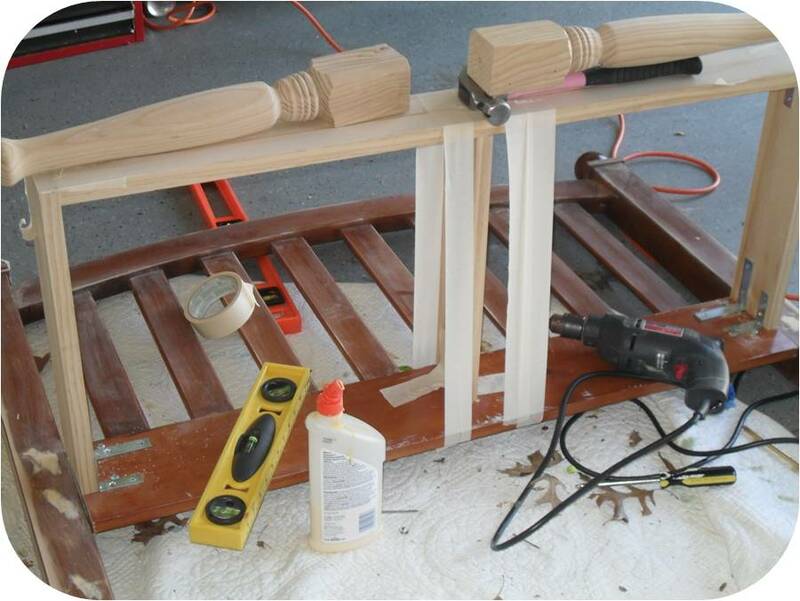 I bought the legs from Lowes and attached them with wood glue and screws. I had to haul the bench into the house because my garage floor is not level! Couldn’t figure out why my bench was teetering. I’m going to have to do something about that unlevel floor. I’m not sure my hubby will be happy with me turning the sunroom into a workshop. 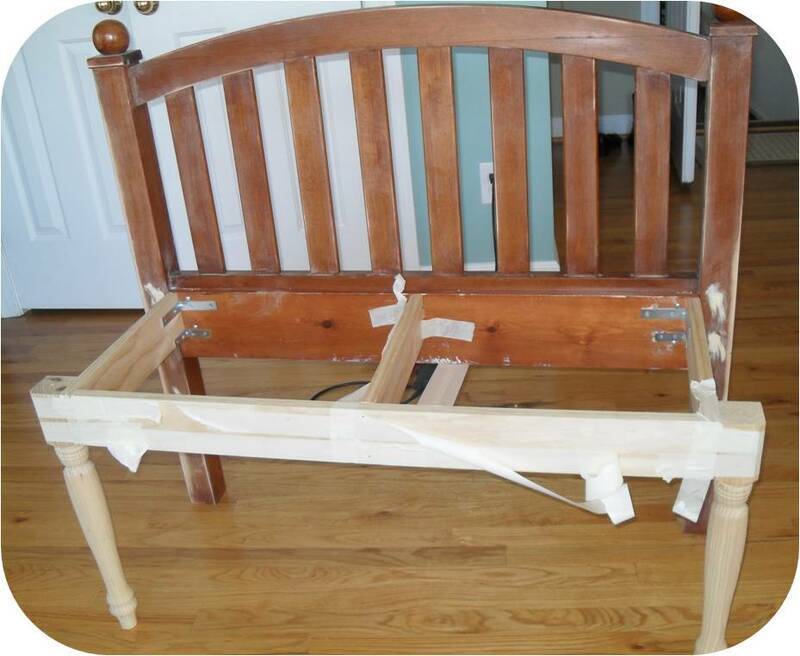 The seat was made from 3 pieces of 1 x 6 wood. I counter sunk the screws and puttied and sanded the wood smooth. I primed and painted the bench with a brush. I’m sure spray paint would have worked great, but I used what I had on hand. 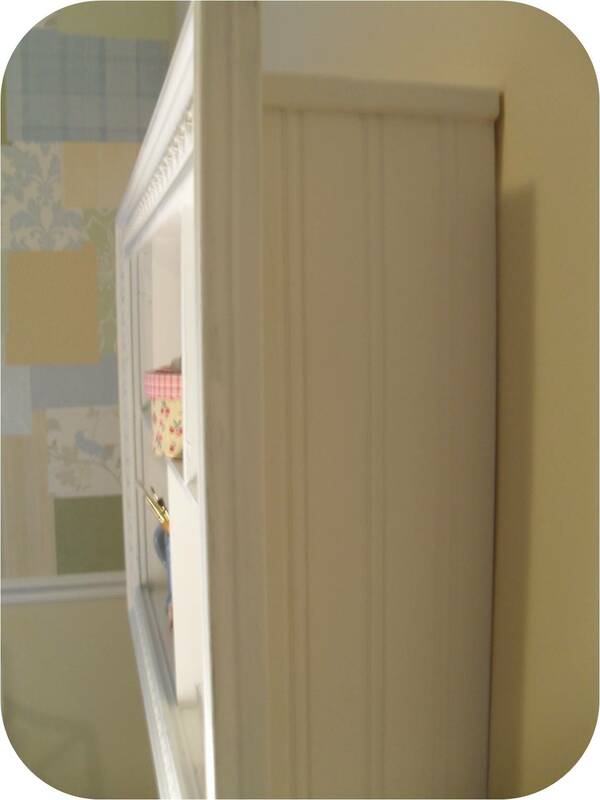 The edges were lightly sanded for a distressed look. 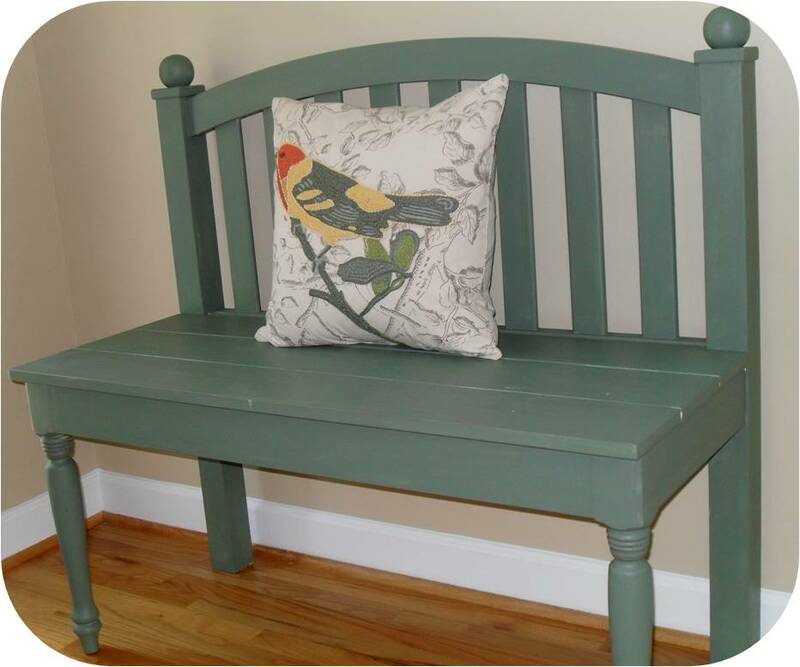 Now this old headboard has a new useful life as a bench and a new home in the foyer! Posted in DIY (you can do it!) 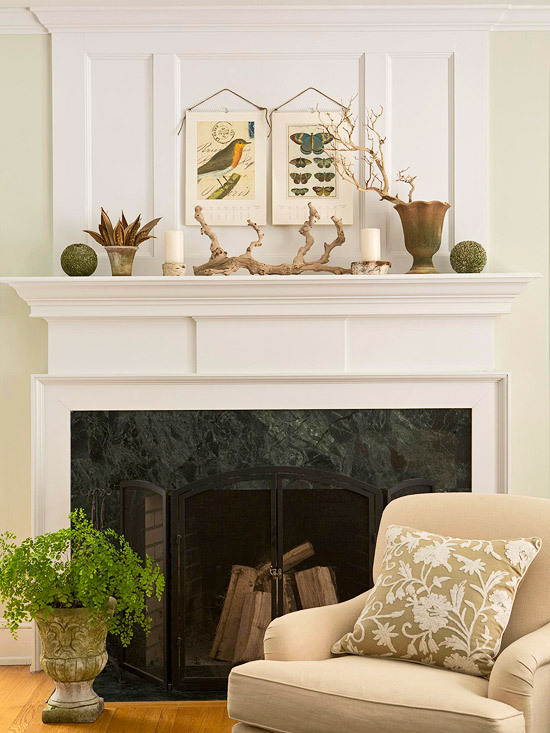 and tagged Backsplash, bench, DIY, DIY blog, Fireplace, furniture, headboard, headboard bench, mantel, painting, Redo, refurbish, Wood, Woodcraft. Bookmark the permalink. Posted in DIY (you can do it! 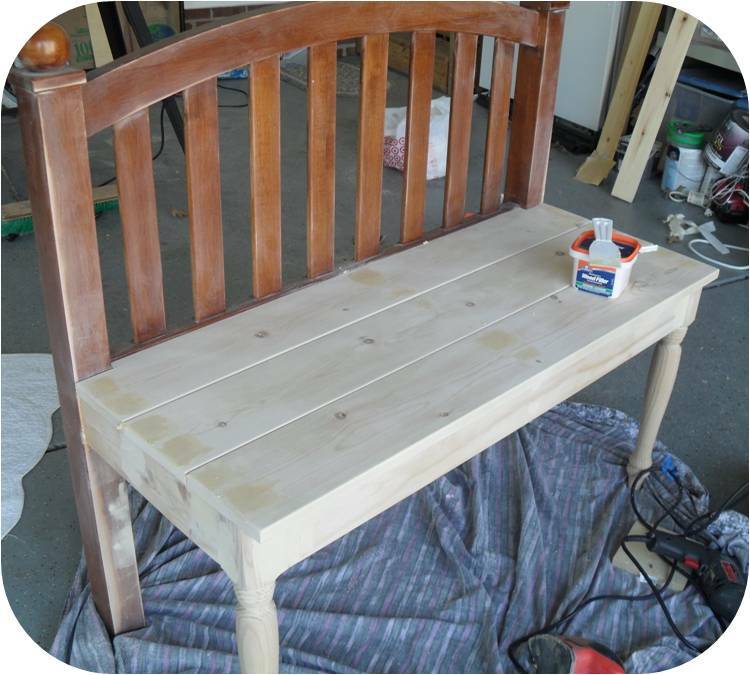 ), SOS (tutorials) and tagged bench, DIY, DIY decor, furniture, headboard, headboard bench, painting, Redo, refurbish, wood furniture. Bookmark the permalink.